Sent to Auckland Transport 37 min later. 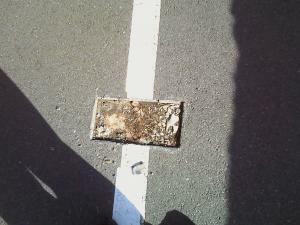 the 6Km/4Km cardiac marker has been stolen from the footpath. Goodness knows when it went missing, it has been a long time since I walked past the spot.